Taking your new puppy to the vet is the start to a great pet health routine. Whether it’s for routine checkups, vaccines, or an emergency, pet insurance will help keep your puppy healthy while alleviating the rising veterinary costs. Puppy pet insurance is typically intended for puppies that are under six months and cover routine, veterinary recommended services that all puppies should receive. In addition to the routine visits, plans can also cover additional services associated with accidents and illnesses. How much will puppy insurance cost? Pet insurance is especially helpful for puppy owners, where more routine care is needed. The cost of these plans varies by provider and the amount of coverage selected. Your dog’s age, breed and location will also determine the price of the plan. Most providers will allow you to customize the parts of the plan that affect your monthly payment, such as the annual deductible. This way, you can tailor your plan to fit your budget and lifestyle. In addition, most insurance companies offer discounts for insuring more than one pet, paying annually rather than monthly and if your pet is spayed or neutered. 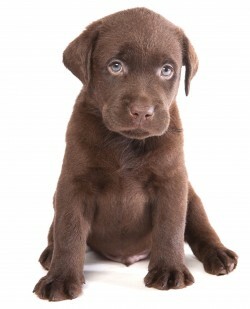 Request a quote today to find out more about insuring your puppy.